Intelligence gathering is an integral part of intelligence agencies and law enforcement agencies. Intelligence agencies and law enforcement agencies have to deal with a variety of issues while gathering intelligence inputs. They have to decrypt highly encrypted communications in real time as well as offline. In India intelligence agencies and law enforcement agencies are practically governed by no law. Even the constitutional validity of national investigation agency act, 2008 is still doubtful. Further, India does not have a constitutionally sound lawful interception law. Phone tapping in India is still done in an unconstitutional manner and at times by private individuals as well. All this is happening because Indian government in general and intelligence agencies and law enforcement agencies in particular are not trained enough to engage in highly sophisticated intelligence gathering. In fact, the intelligence infrastructure of India is in big mess. At Perry4Law Techno Legal Base (PTLB) we provide techno legal online and offline trainings and skill development courses for law enforcement and intelligence agencies. PTLB has also been suggesting for the formulation of legal frameworks for law enforcement and intelligence agencies of India. Further, PTLB also believes that we urgently need a lawful interception law in India that can take care of both technical and legal aspects of electronic communications monitoring and interceptions. This entry was posted in Uncategorized on May 16, 2011 by PTLB. Skill development in India is need of the hour. India has to free itself from the academic and unproductive education system that is presently producing mass scale graduates with no employability. Equally unproductive are various diploma programmes that do not guarantee any job these days. Technical education and skill development needs to be strengthened in India. A special emphasis must be given to online skill development in India. Further, we must stress upon ICT skill development in India and cyber skills development in India. For instance, issues like cyber law skill development in India, e-courts skills development in India, online skills development in India, ICT and IPR skill development in India, etc must be taken a special care by India. Perry4Law and Perry4Law Techno Legal Base (PTLB) are managing the exclusive online techno legal skills development initiative of India. PTLB is providing trainings and skill development courses in fields like cyber law, cyber forensics, cyber security, digital evidencing, e-courts, cyber crimes investigation, etc. PTLB is also managing the exclusive techno legal cyber forensics institution of India that is providing cyber forensics courses in India. Police training and skill development in India is also managed by PTLB. Law enforcement agencies of India need cyber law training. 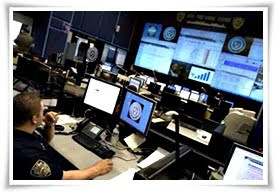 A good cyber crime investigation in India requires skilled and trained police force. At PTLB we develop the Cyber crimes investigation capabilities of police force of India. Even lawyers and judges must have scientific knowledge of cyber law, cyber forensics and digital evidencing. 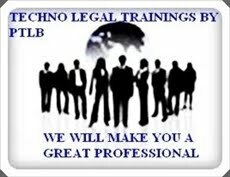 PTLB is providing online training of judges in India. The basic level training to lawyers and judges includes topics like cyber law, cyber forensics, digital evidencing, e-courts, etc. If you are a professional, law graduate, lawyers, judges, police officer, cyber crime investigator or any other similar professional, you may be interested in our world class techno legal trainings and skill development courses.